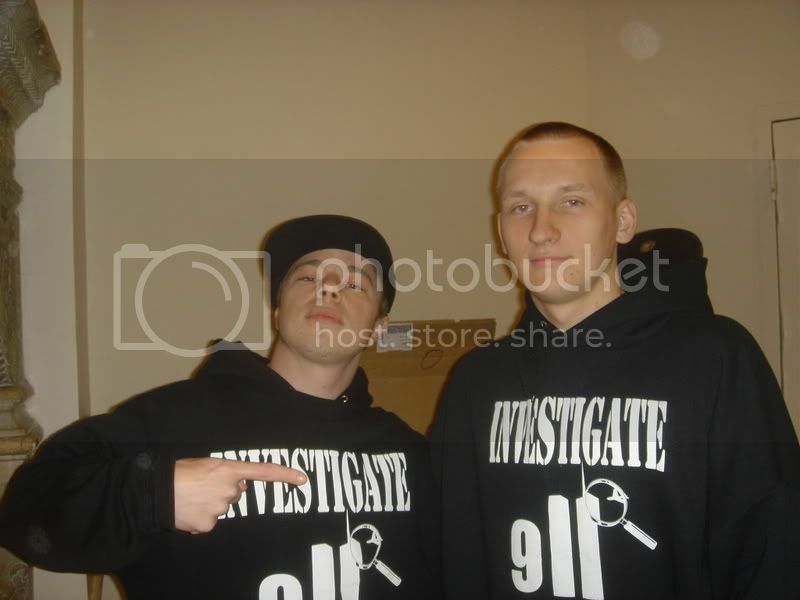 ny911truth.org is hosting a series of speakers on September 8th, 9th and 11th at Cooper Union on the 8th & Sun. Sept. 9th and Ground Zero & Union Square Park on Tues. Sept. 11. 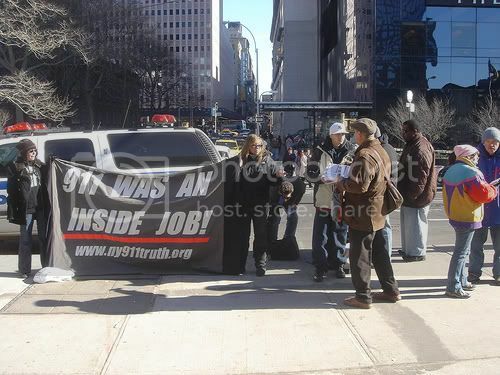 The event is billed as "9/11 Truth: Ready For Mainstream!" and will coincide with other events taking place in NYC. These events are complementary to other events going on in NYC rather than meant to duplicate or compete in any way. 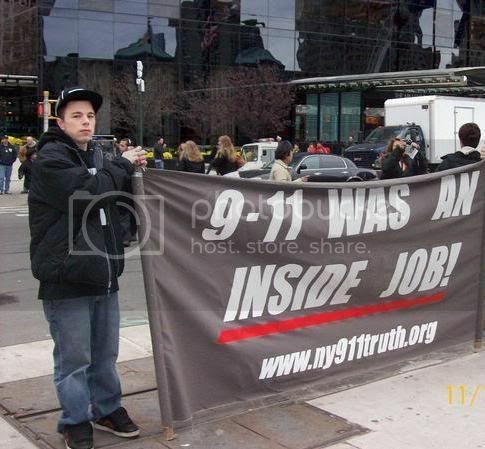 On February 11th 2007, 9/11 Truth organizations launched a national campaign of action on the 11th day of each month. Another street action took place in the center of Manhattan Union Square. One of our most prominate, courageous and dedicated young members of NY911Truth and CHANGE, Dan Wallace is no longer with us. Dan's father Robert Wallace gave his life on 9/11/01, leaving Dan with many unanswered questions about 9/11. Dan was an ardent activist who showed no fear when confronted by police at street actions at WTC Building 7 and at the New York Stock Exchange. Dan was an eloquent speaker, both on videos of the street actions and at St. Mark's Church, where he gave a moving ovation before a packed crowd in a recent Sunday night presentation. Dan Wallace, 23, was found dead early Monday morning in his bed. The exact cause of death is yet to be determined. Very sad to bring this over from the Loose Change Forums. Dan's father Robert Wallace gave his life on 9/11/01, leaving Dan with many unanswered questions about 9/11. This video has some priceless moments. There were a coincidentally large number of activist at Ground Zero that day, and we took full advantage of our unified presence. Our resident debunker was also present, doing his best to represent the 'official conspiracy theory'. We even got the message on live TV, and captured the angry response of the news correspondent. The day was challenging and inspiring. Geraldo Rivera recently covered 9/11 'conspiracy theories' on his show 'Geraldo at Large'. 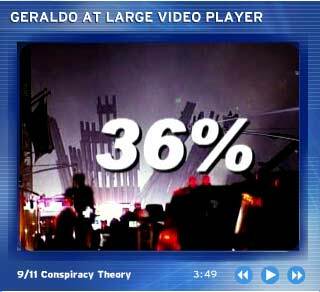 The video includes a few clips with Les Jamieson from NY911Truth, a brief mention of recent polls, and a quick run through of some of the more predominant conspiracy theories. Thanks to BCS for the heads up. 9/10: Loose Change to air on national tv in the Netherlands ! LOOSE CHANGE 2 (full version, dutch subtitles) broadcast in Europe! And at 9/11 itself a free screening of Loose Change will happen at De Balie Cinema in Amsterdam at 19:00 hrs as part of a 9/11 theme day with lectures, debates and more. Is a much repected national wide famous political and cultural debate center in Amsterdam. Is a much respected third national public tv channel of The Netherlands, comparable with BBC. Got the following email, check it out if you are heading to NYC for the 5th year anniversary of 9/11. Be sure to also check out this link for recent info from the Loose Change crew. Also, there have been many requests to try to find out who all is going, so feel free to discuss in the comments. shocked and awed the world. comprised of keynote speaker events, films, forums, and outreach actions! Loose Change Final Cut and be entertained by Immortal Technique. solidarity with the victims and their families. and create a wave of justice to prosecute the real crimes! Join us as we make September "9/11 Breakthrough Month"
on the street, on the web, and in the eyes of the world. for overview, schedule and NYC info. Check back every week for updates.